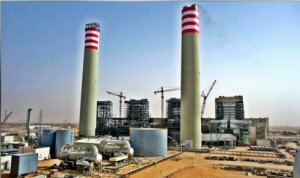 State electricity company GECOL says it has finally got one of the turbines working at Sirte’s Khaleej (Gulf) power station and that it is now adding 150 megawatts to Libya’s strained western grid. GECOL engineers moved into the partly-built 1,400 MW station in July after Bunyan Marsous forces had driven out IS terrorists and the plant had been pronounced clear of booby traps by de-mining teams. In August the company announced that it was about to start producing 200 MW but then ran into technical difficulties. It is only now that these have been fixed in part. The Khaleej station was planned to boost overall electricity generation, not simply cater for Sirte which used to receive its power from Zuetina. However, construction work on the power plant came to a halt in the summer of 2014 when American, South Korean and Turkish contractors abandoned the site as security collapsed. The Turkish company Gama returned briefly but pulled its people out almost immediately. The first of the four 350 MW steam turbines had been commissioned with much ceremony in May of that year. But security was already proving a problem. The start-up of the new turbine had been delayed after thieves broke in and stole copper cabling bringing down two pylons. GECOL has not spelt out the work that has needed to be undertaken to bring that turbine back on line. It is unclear what new parts needed to be imported or if any foreign contractors were brought in to help with the work. GECOL engineers have earnt a reputation for courage and persistent, on occasions operating under fire to fix damage to power lines and transformers caused by the fighting around them. Libya has a net deficit in power supply but the considerable problems lie in the distribution network. The link between the eastern and western grids, which enabled load sharing, was severed in 2014. Now Tripoli in particular suffers outages in part because of damage to transformers, sometimes caused deliberately by militias who control substations and transmission lines.